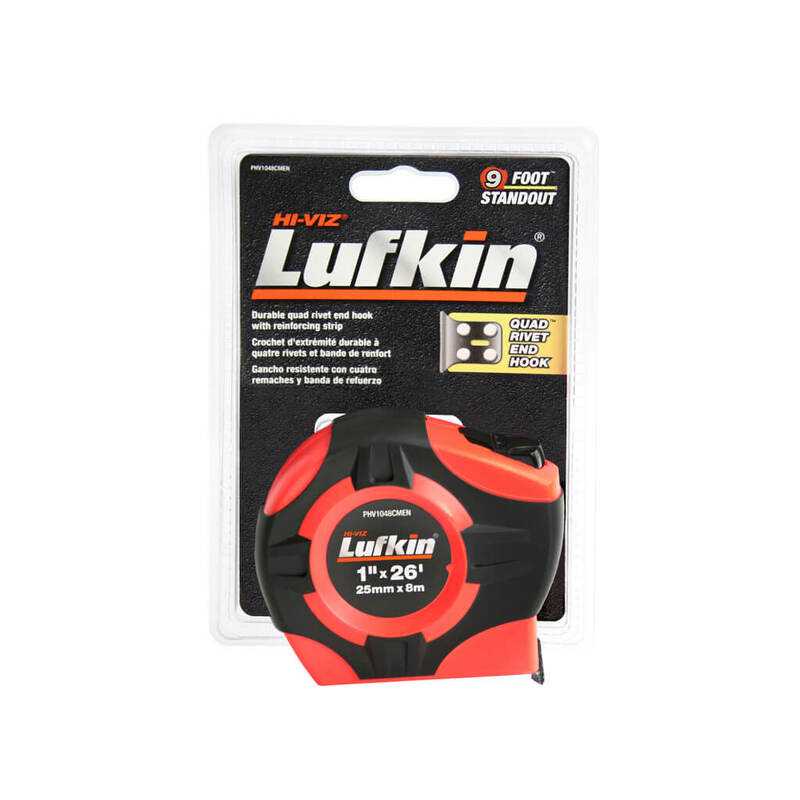 Lufkin PHV1048CMEN 1 in. x 8m/26 ft. Hi-Viz Tape Measure meets the demand on accuracy and durability. For accuracy, the Lufkin PHV1048CMEN routinely exceed National Institute of Standards and Technology (NIST) traceable standards. Also, the tape measure is made of tough ABS plastic, modified for increased strength and impact resistance. Models with 1-inches width blades feature the patented Quad-Hook steel-reinforced four-rivet end hook for blade life, lasting 10 times longer than ordinary end hooks.